I’ve been lucky enough to be invited to a few book clubs in the last six months and the first thing I asked myself was…where have all these book clubs been hiding?? I think the answer is fairly obvious, they’ve been around forever, I’ve just been embarrassingly ignorant of them. I could say I’ve been too busy writing to read but that’s no excuse so… shame on me! OK there are the big ones that even I couldn’t miss and of course the Richard and Judy Book Club is up there with the biggest and I certainly owe an awful lot to them for selecting my first book for their Spring 2012 list. But it’s the smaller book clubs that we should be shouting about. The independent ones that have been brought to life because a community, a company or simply a group of friends decided meeting up regularly to talke about books they’ve read and to share their views over the odd glass of wine wasn’t such a bad idea. It’s easy to skim through a book and then go onto the next without really stopping to think about what you’ve just read. And of course by listening to other people, you get a different perspective, no two people will read the same book and be moved, intrigued, excited in the same way. I’ve visited a few book clubs that are run by groups of friends, where everyone takes it in turns to host the evening. I don’t think it’s just a good thing because it’s encouraging people to read and maybe broaden their horizons on what they read…it’s also a good excuse to set aside time on a regular basis to meet up and catch up…and talk about books of course. 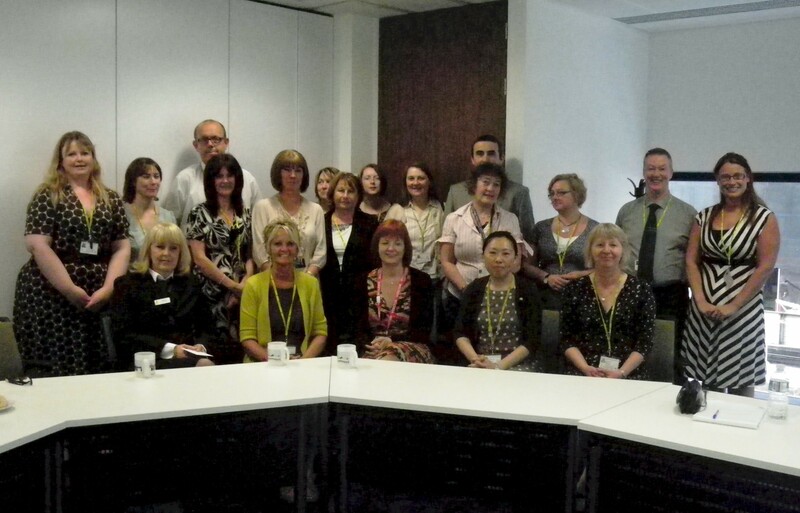 I was also invited along to Merseytravel who had encouraged their staff to join in the Six Book Challenge and it was great to see so many people being encouraged to read more and also as part of their scheme, to write too so maybe one year they’ll be reading a book from a homegrown author. 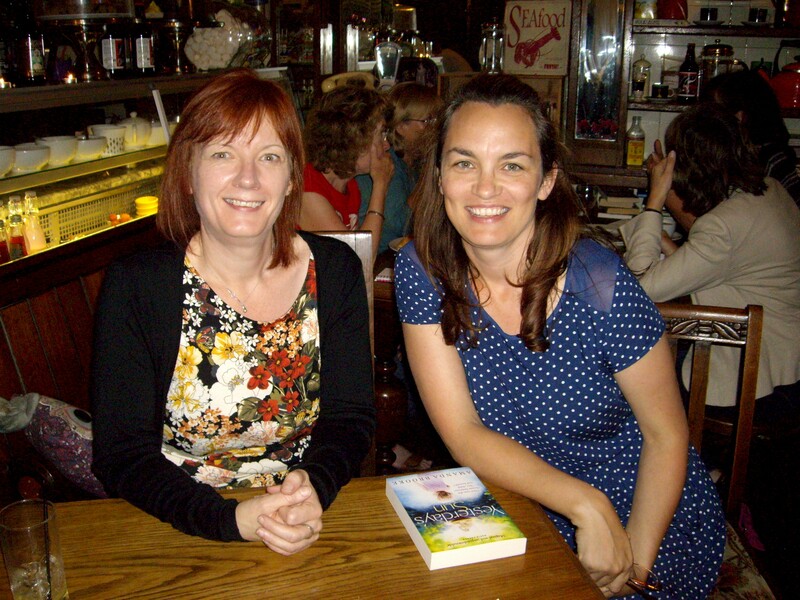 My latest foray into book clubs was at the Neighbourhood Cafe in Childwall, Liverpool. It’s run by Lynne Collins and it has everything that a book club should have. A warm and welcoming atmosphere, great food and hospitality and because it’s open to anyone, you get a real mix of people. I went along to talk about Yesterday’s Sun and there were plenty of questions that really got me thinking and my mind was still buzzing when I got home, in fact I couldn’t sleep. So now I know what I’ve been missing out on I’d love to go back there as a reader rather than a visiting author, I loved it! ← Why have I got three and a half books spinning around in my head? Really enjoyed hearing you read part of Yesterday’s Sun at The Neighbourhood Cafe the other week. It was fascinating to hear where your inspiration for the story came from and how it developed. I cannot wait to read Another Way to Fall.